My witch’s garden is a major part of my practice—and not only because of the herbs I harvest from it. When I first began The Religion Project, I knew that a major source of my discontent was that I felt very disconnected from Nature. Nature and her ecosystems were a major part of what I regarded as sacred or mystical, but my daily life seemed to be built around avoiding as much of Nature as I could. I worked in a climate-controlled building where I got paid to sit in front of a computer monitor, and then I came home and did precisely the same thing recreationally. My lawn was, for me, a hated symbol of misplaced American values and waste. I just paid someone to take care of it while I sat inside and avoided thinking about it. I have a phobia of bees and wasps that encouraged me to go to great lengths to avoid actually being outdoors. I was, in a very real sense, separate from one of the things I held most sacred. It wasn’t always like this. When I grew up in the wilds of Ohio, Tennessee, and Florida, I spent large portions of my time in the yard and the woods around our home. I planted sunflower seeds from our bird’s pre-packaged food, and I made a whole line of giant sunflowers in our family garden. I spent large portions of my day in the woods around our homes, foraging for wild blackberries and swinging from vines. 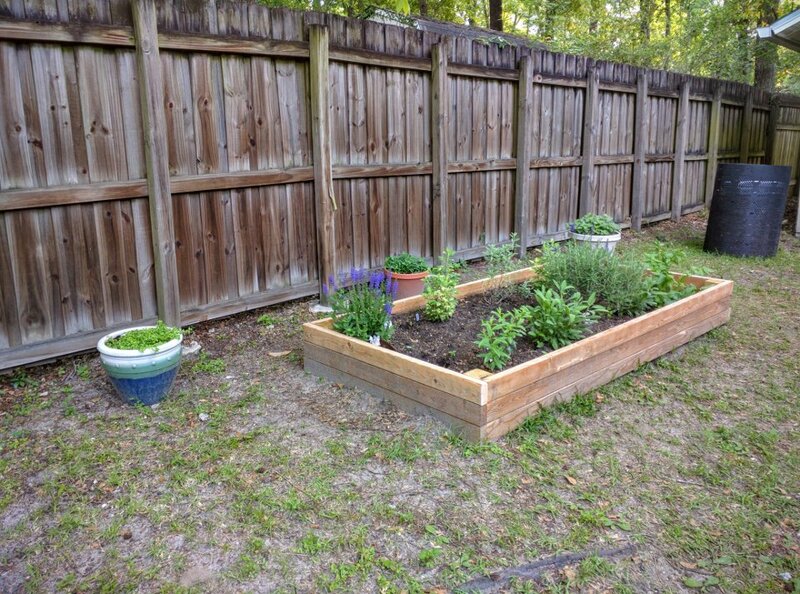 My family always had a garden that we used as a primary source of nutrition for our family in the summer months. Growing up, I was very connected to the land. Along the way, I distanced myself from nature in an attempt to distance myself from my rural Southern heritage (which I associated with bigotry) and my family (much of which I have a complex and not exactly pleasant relationship with). I lost something. I became a less whole person, and I spent a lot of energy trying to fill the gap I could feel but didn’t understand. I became vegan for five years. I bought a Prius. I did many things to reduce my carbon footprint. All of these things were great for me, but they didn’t address the primary issue: my fundamental lack of an experiential connection with Nature. Though I certainly do it, I feel a little strange about referring to what I do out in the witch’s garden as “gardening.” I mean, it definitely qualifies as that, but it’s so much more. I’m not trying to curate a set of exhibits. I’m not creating show pieces for my neighbors. I’m seeking to help Nature reclaim the patch of land that we live on. I’m trying to prioritize native plants for my area. I am actively working to contain the plants that are ritually important to me but which would outcompete the native ecosystem if left unchecked. I want to move in a direction of “permaculture” and living in harmony with the land around me. I am a priestess of Nature, and I am seeking to make my former lawn into a living temple that thrives on what Nature provides and returns back far more than it takes. More than any other part of my practice, the witch’s garden has improved my life and the way that I choose to live it. The most “mundane” part of my practice is actually the most sacred.